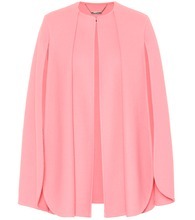 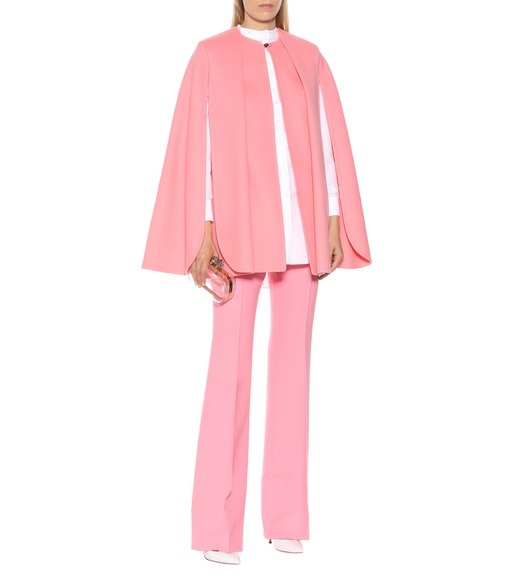 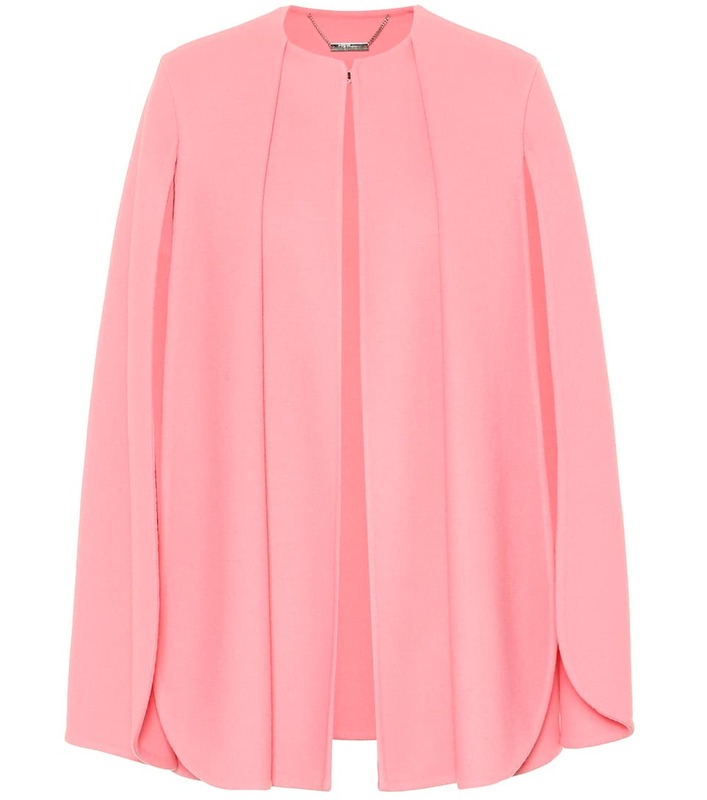 Rendered from a combination of wool and cashmere, this throw-on cape from Alexander McQueen exudes ladylike luxury. 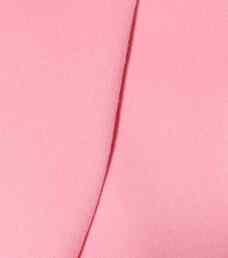 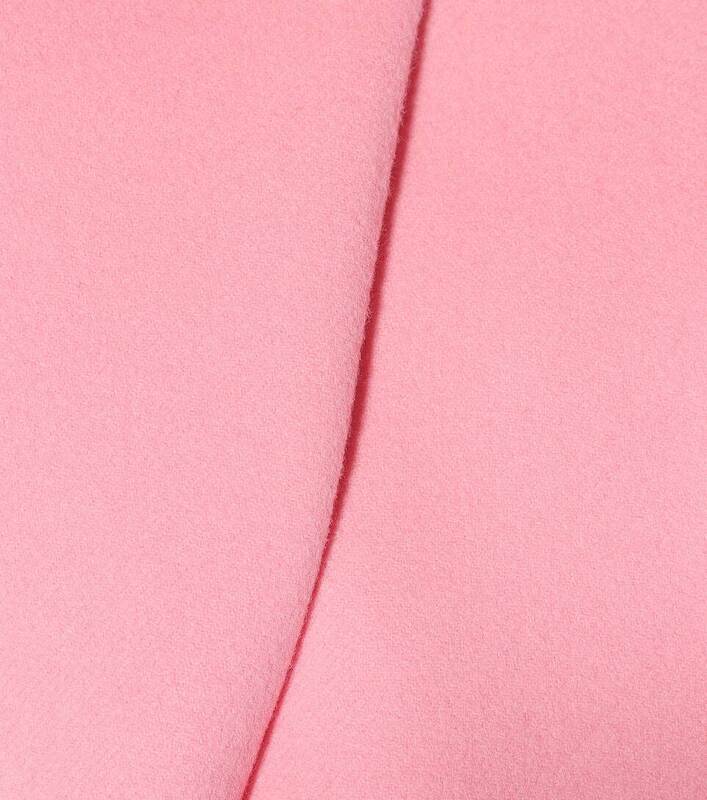 This bubblegum-pink design falls elegantly on the shoulders, and the artfully draped shape means that it will flare out gently as you move. 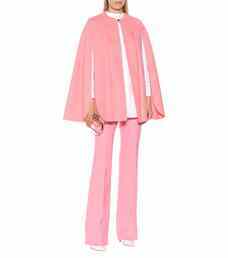 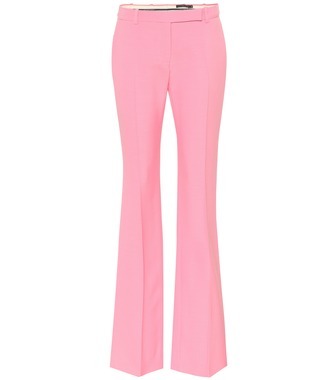 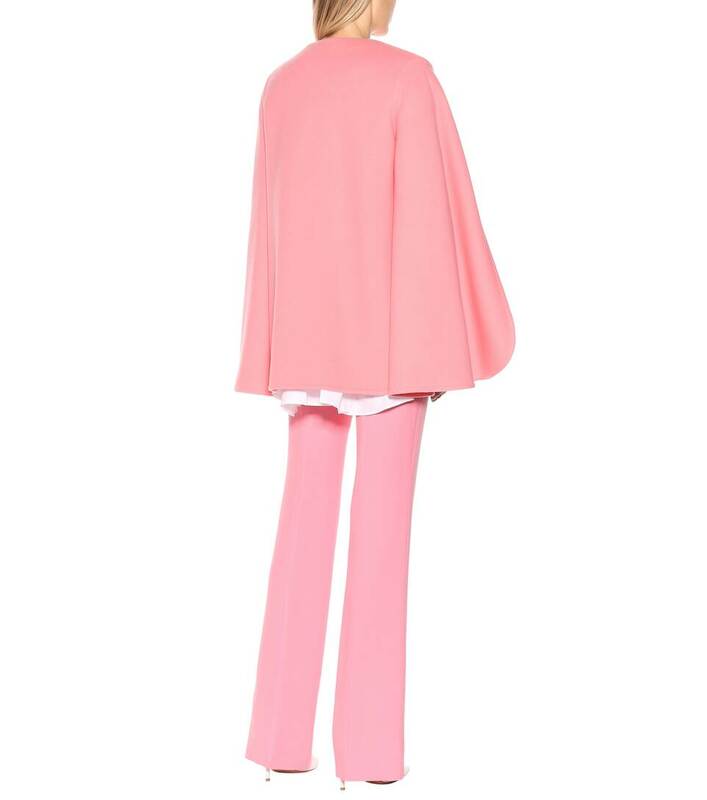 Style yours over an evening gown for your next winter soirée, or match it to pink pants to embrace the fashion sets favored new-season hue.